What do VPNs Have to Offer Smartphone Users? With all the developments in mobile devices these days, it is easy to let some things slip you by. For users making their way from beginner to intermediate user and beyond, there might be some components of mobile devices with which you are not familiar. Here we'll go over some basic information on VPNs to help you understand what they are and how they are used - and with this, you might get some indication on whether or not they're right for you. VPN stands for Virtual Private Network, and in simple terms can be thought of as a go-between between your computer and the internet at large. 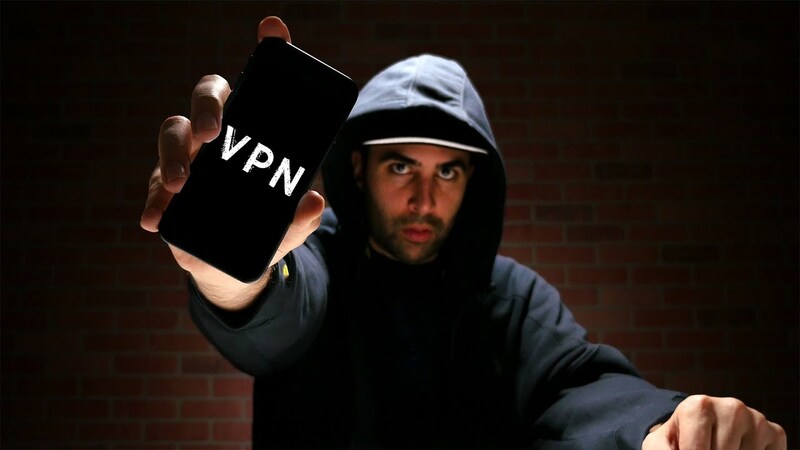 When connected to a VPN you receive your data from the VPN, and the VPN service itself is responsible for sending and receiving your internet data requests. The benefits of this come primarily down to security, geo spoofing and evading various limitations imposed by your connection point. When you have a VPN, any attacks have to come through the VPN service, rather than directly to your computer. As VPNs (especially professional ones) have improved security over most basic computer setups, they manage to take a lot of slack for the end user. There is also the added complexity in attacking through a VPN, which again benefits the end user. Geo-spoofing is a term applied to tricking a website or server into thinking you are from a different location. Sometimes websites or videos are locked behind geographical requirements, so this can be an easy an effective method of circumvention. The same can be said for limitations placed by the connection point themselves. Commonly, this can be seen in free Wi-Fi places like public transport. While the blocking of certain websites is a good idea, they can be overzealous, blocking places which are safe and offer no significant bandwidth drain. Modern VPNs are far from the sluggish old behemoths we had to deal with a decade ago. These days, VPNs can not only access largely the exact same web pages and services as natural connections, they also can do so at a speed which renders them similar in performance. These days there are an enormous amount of VPNs to choose from, thanks to improving technology and a great market demand. If security is a big concern for you, as it should be, then check out our other articles. These can help to help to decide whether the rest of the features are a good fit for you. Once you have decided on a VPN service ExpressVPN, we recommend checking out some of the many online reviews, which can help you narrow down the pros and cons, and get the most out of what is right for your devices. Remember to be thorough and read closely, some of them might come with features you didn't even know you would like. 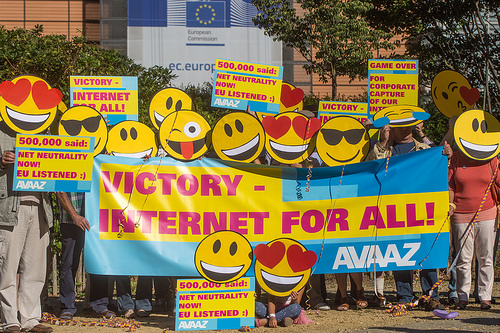 VPNs are becoming more common for a reason. With issues like Net Neutrality raising to the forefront of social conscience our privacy, safety, and freedom of choice and speed have never faced so many threats. 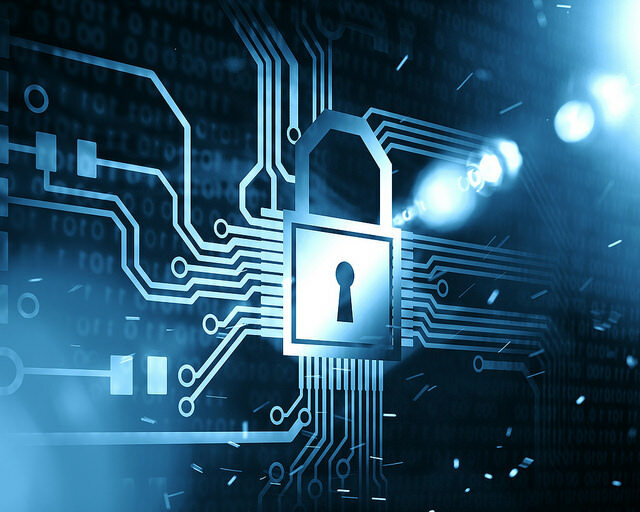 The right VPN can help protect you not only now but can help ensure that in the future you are inoculated against many of the issues that governments or businesses see fit to throw at you. Just be sure to use your powers for good. Tags: mobile gaming: what does future hold? what vpns have offer smartphone users? Tags: mobile gaming: what does future hold? what vpns have offer smartphone users? what exactly android marshmallow’s adoptable storage? Being a leader in your field of work is what many aspire to be, although not all who have this dream will be fortunate to achieve it. While at the same time not all who move up the ladder necessarily become good managers either. Whether you are in charge of one person or one hundred, the pressure that comes with the extra responsibility of leadership is not something that should be diminished, especially as a businesses success or failure is usually dependent on the orders from the top. In the pursuit of business success having a good workforce is only half the battle, it's what you can do with your staff which is key. Get the best out of co-workers and your company will go from strength to strength. However, on the flipside should you not got manage to unlock the true potential of your staff then it means you could be in for a rocky period ahead. One that could lead to a set of personnel cutbacks somewhere down the road. Many have asked the question, just what makes a good leader in the workplace and it is one that in fairness does not have a definitive answer. The simple reason being is that no two sets of staff are the same. Every group of staff that needs to be led will come from a mix of different backgrounds and will bring their own personal attributes to the table, while at the same time there are a number of different managerial styles that can be applied. Therefore, it is all about trying to get the two components to mesh perfectly in a bid to help your business prosper and even though there are a number of different permutations in the workplace there are some central staples that can be applied across the board in regard to leadership. Most people will have the point drilled into them that work is the most important aspect of their life, something that is not strictly true. There's no doubting that gainful employment is a key aspect especially as it allows people to live their day to day lives. Unless the work that is being worked on is one that is more altruistic in nature such as charity or volunteer work, the chances are you are going to need some financial inducement for the job that you carry out. At the same time though workers need to be careful they don't become a slave to a wage and make sure that they find the correct work life balance in their job. This is somewhere that good leadership skills can be displayed. If a staff member seems deluged with work, then here is the time to step in and address the situation. Perhaps take time to chat to that member of staff and allow them to raise any concerns about the current workload. From here you can delegate some of that load to other members of the team. It could be you have an excellent worker who cannot do their job to the best of their abilities due to them getting bogged down with the more unimportant facets that they have to deal with. There's no question that you can push your staff to work hard, something that not only has a benefit to the business if results are delivered, but also because it means that it will allow them to develop both professionally and personally. Driving through a big project and delivering on time may mean going the extra mile at times, but the sense of achievement that comes with it is a feeling that is very hard to replicate and brings a lot of personal pride. However, as a leader of a team or group you need to make sure that your you don't push your staff too hard. There is a very fine balancing act that needs to be undertaken here, as you need to discover where their breaking point is. And it is one that really you don't want to reach as that could then have serious repercussions for your business further down the line, it only takes a workplace meltdown to occur for a whole host of momentum to be lost. It's a similar scenario to one you would find at a casino, one that comes with weighing up risk versus reward. The risk is asking too much from your staff and facing a negative backlash, while the reward is delivering your objectives on time. If a big project is in progress and there is a large amount of work that needs to be done, then another key aspect of being a good leader is being able to motivate your staff during what might see like tough times. You should be prepared to give something back, especially in regard to time. If someone is constantly working late, then why not give them a half day as an act of gratitude to say that their work is not going unnoticed. Or why not establish Friday drinks in the final hour of the week, not only does it release the pressure of a busy few days, but it will also allow you and your team to bond on a more social level. If your team all get on with each other then they will be prepared to go the extra mile when it matters. Maybe you could allow them to play mobile slots during their lunch break or maybe have a friendly office game of Texas Hold'em poker, which is both fun and stimulating. As a leader you can also take the team out for lunch say once a month. Again, it not only offers a more sociable element, but it also gets your staff out of the confines of the office and mixes up their working day. That's not to say that's all about team lunches and drinks, ultimately there is still work that needs to be done. At the same time though a lot could be said for the phrase "do the job and not the hours" and the benefits that come with a more flexible approach. If work is done by 4:30 and your staff are due to finish at 6, then why not send them home to say thanks for a job well done. An act that will boost morale and keep you in your staff's good books, showing that you can be a good person as well as a good leader. Tags: mobile gaming: what does future hold? what vpns have offer smartphone users? what exactly android marshmallow’s adoptable storage? what makes good leader workplace what expect mwc 2017 nokia? HTC is about to launch two smartphones next week at an HTC exclusive event. 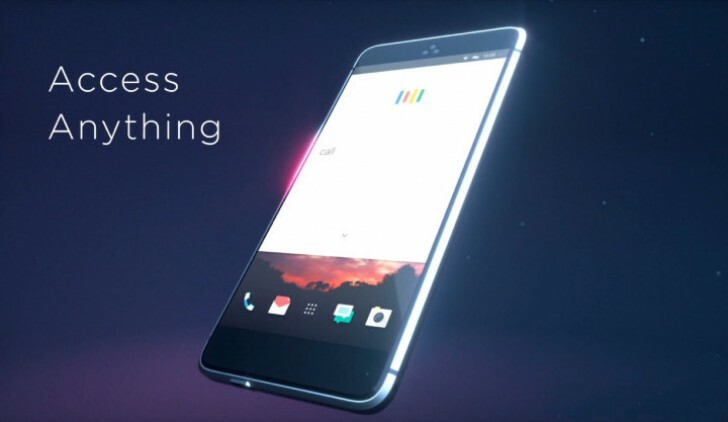 Dubbed as the HTC "For U," it will be held on January 12 to take veils of the HTC U Ultra and the HTC U Play. The U Ultra (Ocean) will sport a huge 6-inch display, while the U Play (Alpine) will come in a much smaller 5.2-inch size variant. Some sources are indicating that HTC will also be revealing a third variant in the U series (Ocean Note) with a 5.5" - 5.7" screen size, but we will have to wait and see if that really happens. 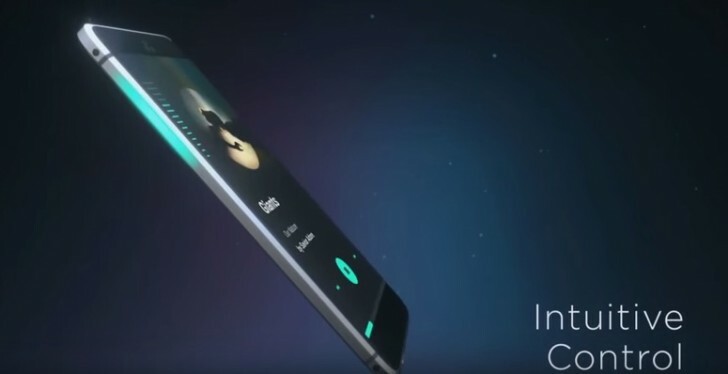 The highlight of the Ocean and Ocean Note as per what we have heard so far is the curved display which HTC will introduce to their smartphones for the first time. Camera performance is also supposed to be excellent, with a DxOMark score higher than that of even the Google Pixel phones. Unfortunately, all rumors are pointing towards the fact that none of these phones will have a 3.5mm audio jack. Considering that HTC isn't particularly enjoying a lot of popularity at the moment, that's a very bold decision to say the least. 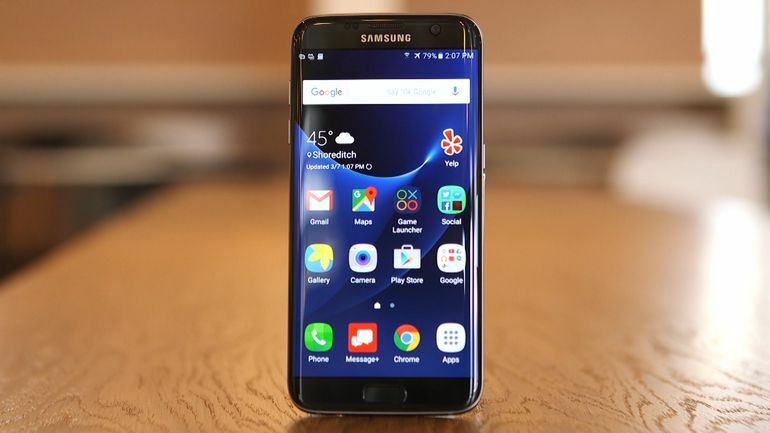 It has hardly been a month and a half since the Galaxy S7 started to reach customers around the world and there's already new rumors spreading about the Galaxy S8. However, if you just bought the S7 or S7 Edge, fret not, for the S8 is still almost a year away from being released. 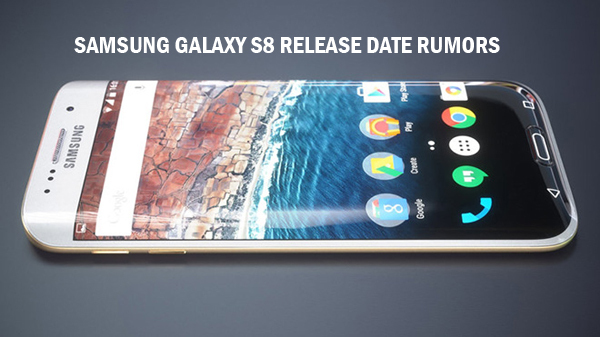 There have been no indications or even rumors about the next Galaxy flagship from Samsung being released prior to the Mobile World Congress 2017, in February-March. Although it is just too early to comment on what changes Samsung will bring with their next flagship, one would expect them to focus on the audio quality a bit more; especially since the HTC 10 and the LG G5 have amped up their audio department significantly. 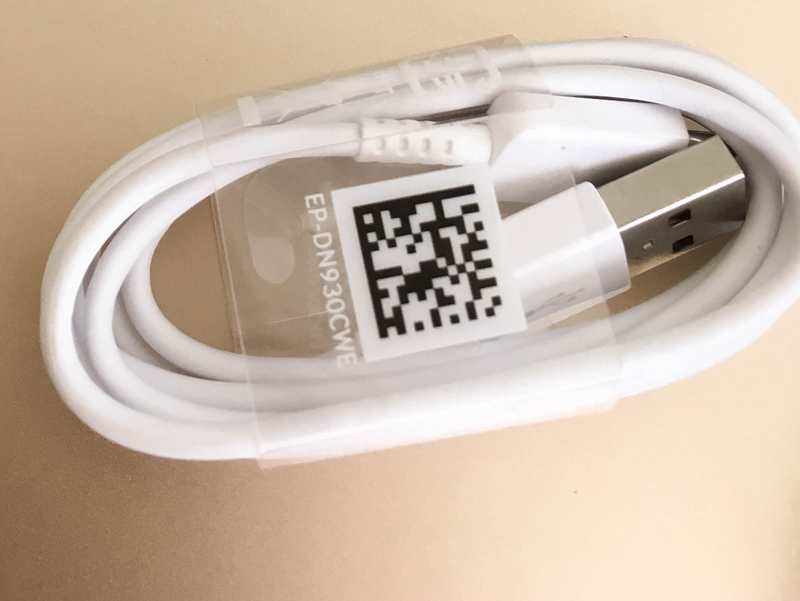 A change to USB Type-C is also expected, but we will have to wait and see how popular it becomes in the coming months. The only smartphone in the market right now with a 4K panel is the Sony Xperia Z5 Premium, but the S8 may be set to change that. This impression was brought on by the fact that virtual reality is rising in popularity and Samsung is already quite involved in it. As VR becomes an integral part of their future smartphones, the display will gain even more importance and that may result in Samsung opting for a 4K panel instead of the Quad HD ones that they are using right now. Rumors suggest that a ½.3" sensor with aperture f/1.4 might be used in the camera of the S8. If it is true, then low-light photography on the S8 will possibly be better than not only the S7 series, but also any other smartphone in the market right now. This concludes more or less everything that is out there about the Samsung Galaxy S8 till date and if interested, you can also check out the recently released S8 concept video. What went wrong with the Samsung Galaxy Note 7? Samsung has no clue! You would think that Samsung would by now be able to decipher what exactly made the Note 7 catch fire, but you would be wrong. 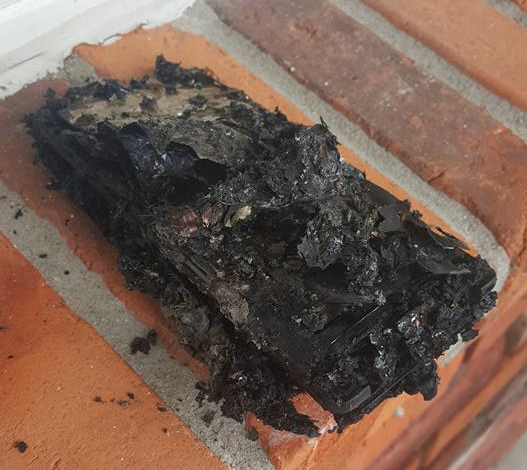 Lithium ion batteries do have the potential to explode or spontaneously combust if something goes wrong inside and that was exactly what Samsung and everyone else thought the problem was. However, it was apparently not exactly what they thought it was. What the problem actually was, remains a mystery still today! 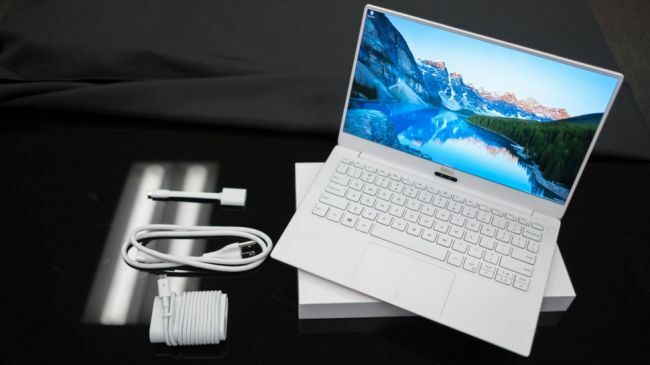 According to Samsung, "We recognized that we did not correctly identify the issue the first time and remain committed to finding the root cause." "Our top priority remains the safety of our customers and retrieving 100% of the Galaxy Note 7 devices in the market." Experts examining the smartphones and the scenarios are of the opinion that there could be multiple reasons responsible for the explosions and one of the potential culprits could be that the battery case that wasn't sufficiently big to accommodate the battery of the Note 7. A finer problem could lie in the software of the phone itself, which may have failed to direct battery interactions with other hardware parts inside the phone properly. Whatever the reason is, Samsung needs to clarify it publicly, if it hopes to win back at least some of the trust that it has lost due to the incident. Tags: mobile gaming: what does future hold? what vpns have offer smartphone users? what exactly android marshmallow’s adoptable storage? what makes good leader workplace what expect mwc 2017 nokia? htc ultra play: what know far samsung galaxy s8: what know far first look what could possibly usb type – cable note samsung galaxy s8: what know far what samsung announced mobile world congress 2016 what went wrong with samsung galaxy note has clue! Tags: mobile gaming: what does future hold? what vpns have offer smartphone users? what exactly android marshmallow’s adoptable storage? what makes good leader workplace what expect mwc 2017 nokia? htc ultra play: what know far samsung galaxy s8: what know far first look what could possibly usb type – cable note samsung galaxy s8: what know far what samsung announced mobile world congress 2016 what went wrong with samsung galaxy note has clue! what call samsung’s new virtual assistant? bixby course! Tags: mobile gaming: what does future hold? what vpns have offer smartphone users? what exactly android marshmallow’s adoptable storage? what makes good leader workplace what expect mwc 2017 nokia? htc ultra play: what know far samsung galaxy s8: what know far first look what could possibly usb type – cable note samsung galaxy s8: what know far what samsung announced mobile world congress 2016 what went wrong with samsung galaxy note has clue! what call samsung’s new virtual assistant? bixby course! samsung galaxy note dead: what should get instead? 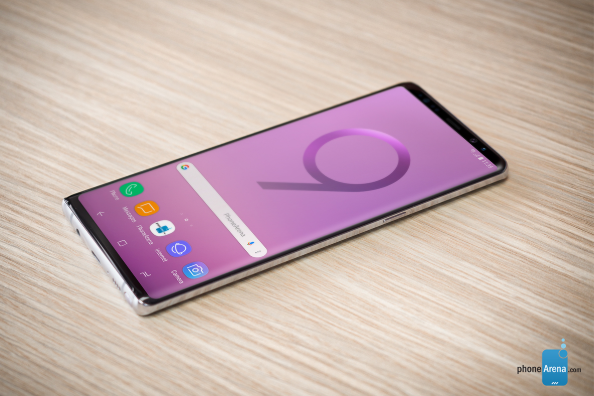 Although there have been some speculations that Samsung won't be continuing its Note line-up this year around, we did hear from the Korean electronics giant a while back that the Note 8 is indeed coming. Provided that Samsung hasn't changed its decision since then, here are a few features that we can expect to see on the next Galaxy Note smartphone. 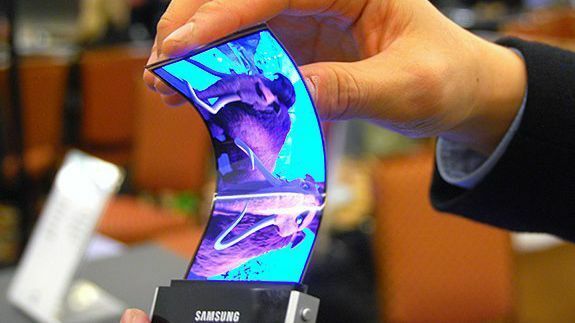 At this point, it is quite likely that all Samsung flagship smartphones will feature the dual-curved Edge displays, which debuted with the Galaxy S6 Edge back in 2015. 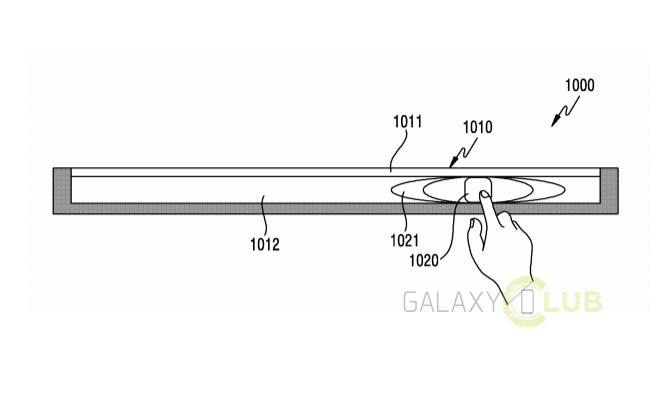 Of course, the one on the Note 8 will come with more functionality to support the stylus. Another one of the features that debuted with the Note 7, the iris scanner is sure to make its way onto the next Note. In fact, I wouldn't be surprised to see it on the Galaxy S8 either. There is no doubt that the Note 8 is going to be water-resistant with at least an IP68 certification, if not with something even more advanced. Given that Samsung had figured out how to make the Note 7 water-resistant in spite of accommodating a vulnerable spot for nestling the S-Pen, there is no reason to think that they won't implement an improved version of the same on their next Note smartphone. Keep in mind that the name "Note 8" may not be the actual name of the product this year as Samsung could opt for something else to steer clear of the bad reputation that the Note 7 has tainted them with. 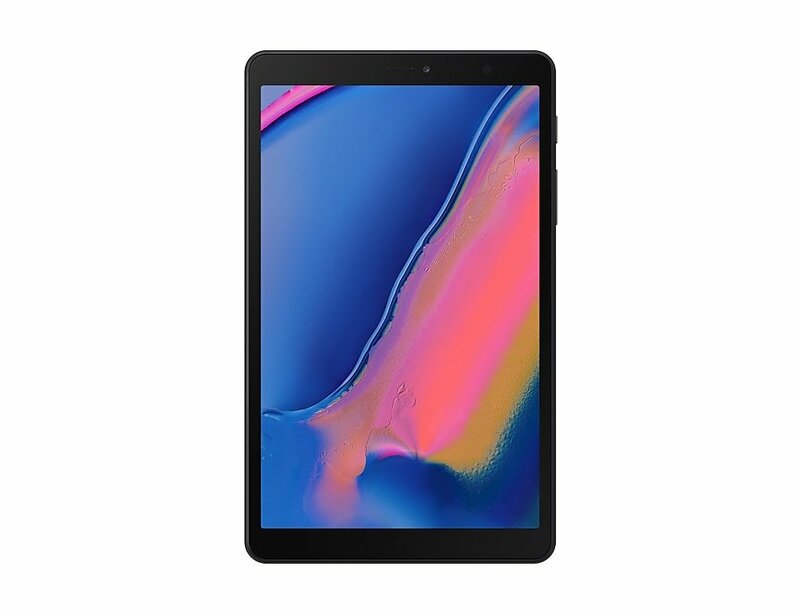 Also, there's already an old Samsung tablet with the same name present in the market. The Galaxy S9 and S9+: What are the highlights? 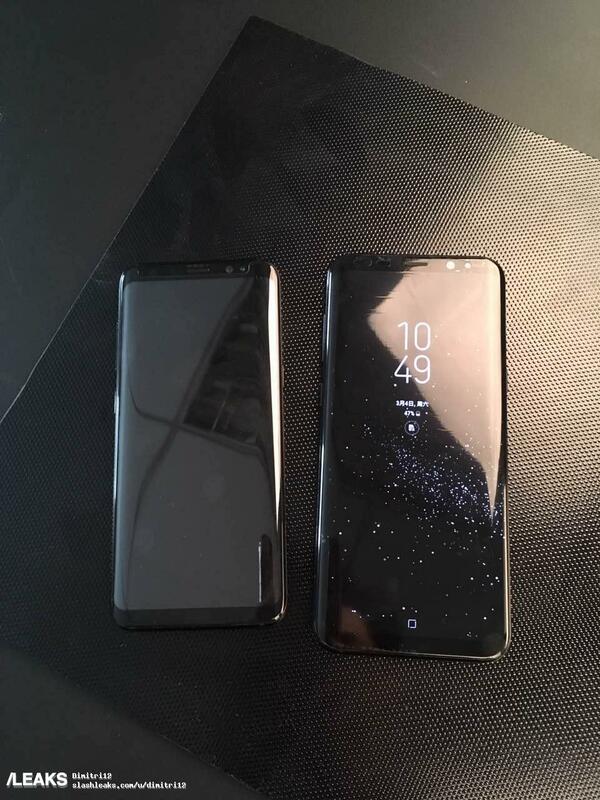 The Galaxy S9 is going to be launched in exactly a week's time at the Mobile World Congress 2018 in Barcelona, but most rumors and leaks suggest that there won't be too many differences in-between the Galaxy S8/S8+ and the Galaxy S9/S9+ this year. So, is that true? Well, as far as design language and display goes, they are almost going to be identical from the outset, but there will definitely be a lot of upgrades, so we will discuss the most significant ones next. Previously, the difference between a Galaxy S Plus and the regular Galaxy S was only of size, but starting from 2018, the S9+ will sport an exclusive dual camera setup while the S9 will have to stay content with a single rear camera. If this reminds you of Apple's marketing tactics, you are not the only one to think so! The good news is that both the S9 and the S9+ will sport at least one camera with f/1.5 aperture, which means that both phones will offer superb lowlight photography options to its users. There will likely be a 6GB RAM/128GB storage option for the S9+ later on in certain parts of the globe, but Samsung is sticking with its 4GB RAM/64GB storage model initially. 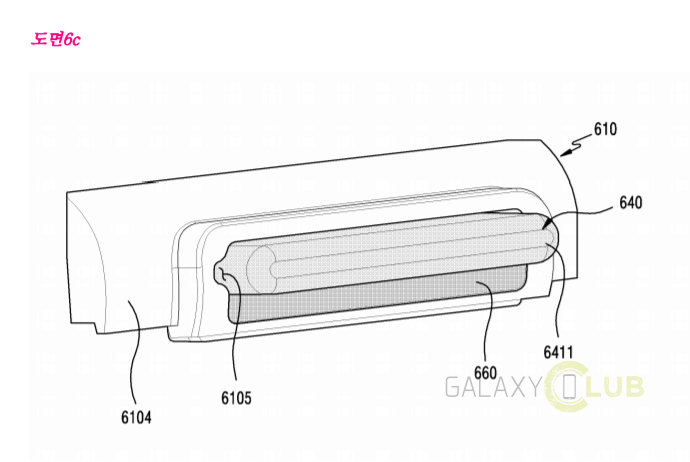 If rumors are to be believed then the Galaxy S-series will likely sport two speakers for the first time this year. Apple's Animojis have gained a lot of popularity recently, in spite of seeming ridiculous at first and Samsung will probably launch an enhanced version of the 3D emojis with the S9. Surprisingly enough, neither Samsung nor Apple could get the under-the-display fingerprint scanner to work with their phones, but Vivo did! In any case, the good new is that the S9 and S9+ will have full sized, rear-mounted fingerprint scanners just below the camera/cameras at the back, instead of the misplaced, tiny fingerprint scanners that only helped to smudge the camera on the S8, S8+ and the Note 8 last year. If the latest Geekbench tests are to be believed, then the Exynos 9810 which will be powering the Galaxy S9 and S9+ in the international variants will be quite a bit more powerful than the Qualcomm Snapdragon 845. The difference may not feel like anything too significant during less-demanding activities, but it will likely still be felt during gaming. If you have a Galaxy S8 or S8+, do you think these upgrades are enough to make you upgrade again this year, or are you going to skip a generation? Tags: mobile gaming: what does future hold? what vpns have offer smartphone users? what exactly android marshmallow’s adoptable storage? what makes good leader workplace what expect mwc 2017 nokia? htc ultra play: what know far samsung galaxy s8: what know far first look what could possibly usb type – cable note samsung galaxy s8: what know far what samsung announced mobile world congress 2016 what went wrong with samsung galaxy note has clue! 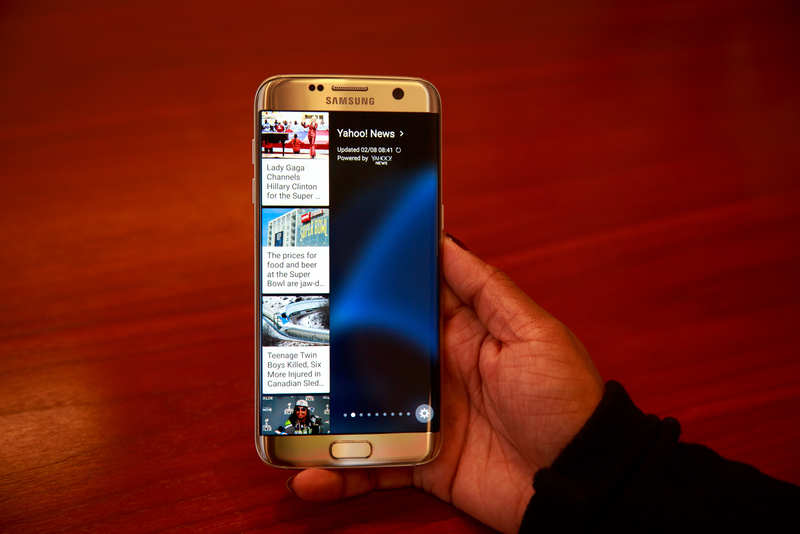 what call samsung’s new virtual assistant? bixby course! samsung galaxy note dead: what should get instead? galaxy note what expect here’s what need know about dex: desktop feature galaxy virtual home button galaxy s8: what means user samsung showing off what bixby can these videos apple tops global smartphone market profit list but it’s what may think latest galaxy note renders out but they different what would expect this what galaxy s9+ possibly look like galaxy s9+: what highlights? Tags: mobile gaming: what does future hold? what vpns have offer smartphone users? what exactly android marshmallow’s adoptable storage? what makes good leader workplace what expect mwc 2017 nokia? htc ultra play: what know far samsung galaxy s8: what know far first look what could possibly usb type – cable note samsung galaxy s8: what know far what samsung announced mobile world congress 2016 what went wrong with samsung galaxy note has clue! what call samsung’s new virtual assistant? bixby course! samsung galaxy note dead: what should get instead? galaxy note what expect here’s what need know about dex: desktop feature galaxy virtual home button galaxy s8: what means user samsung showing off what bixby can these videos apple tops global smartphone market profit list but it’s what may think latest galaxy note renders out but they different what would expect this what galaxy s9+ possibly look like galaxy s9+: what highlights? this what galaxy note look like infamous notch may make its debut samsung phone but it’s what think! Galaxy S10: What to Expect? To be honest, the Galaxy S10 is nearly half a year away from being unveiled at this point, but that's from the consumer's point of view. 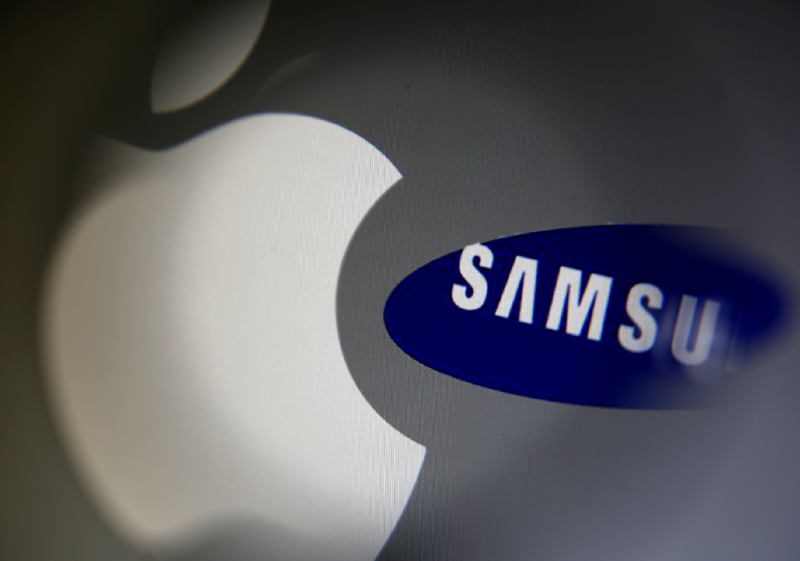 As far as the manufacturer, aka Samsung is concerned, they already have the plans set into motion. On that note, here are some of the popular rumors to keep you interested till something more solid comes up. 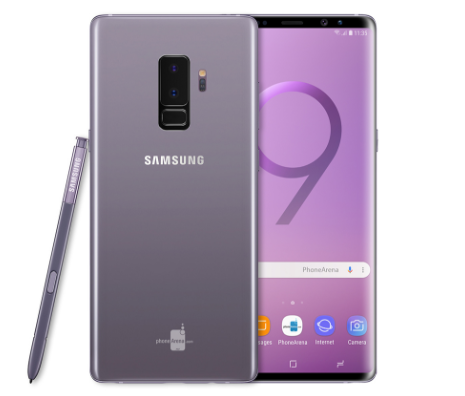 Samsung has so far managed to stay away from Apple's decision to get rid of the headphone jack and fingerprint scanner, not to mention Samsung's much applauded decision to avoid the widely adopted notch design. 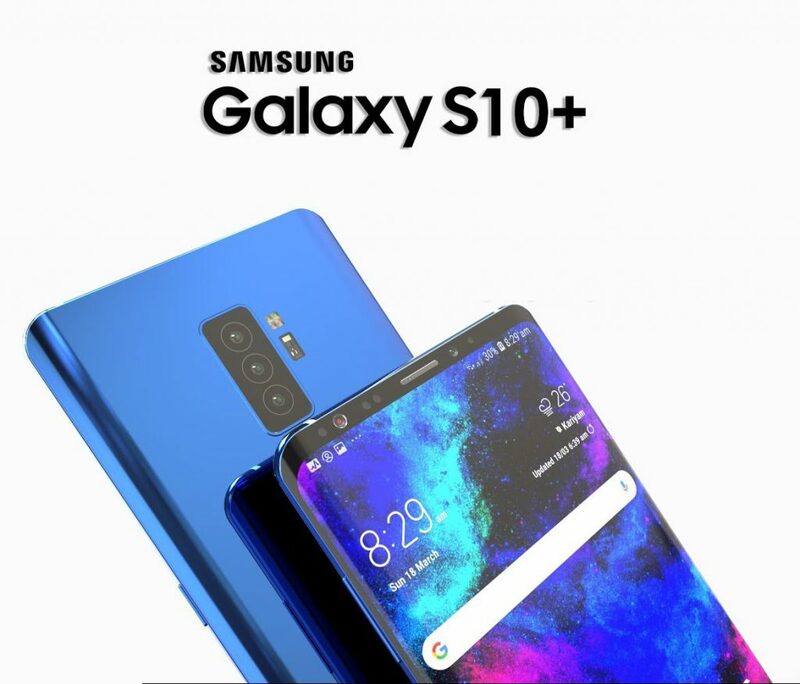 Nevertheless, popular leakster and tech analyst Ming-Chi Kuo is of the opinion that Samsung will follow Apple and release three (5.8", 6.1" and 6.4") Galaxy S10 smartphones next year. 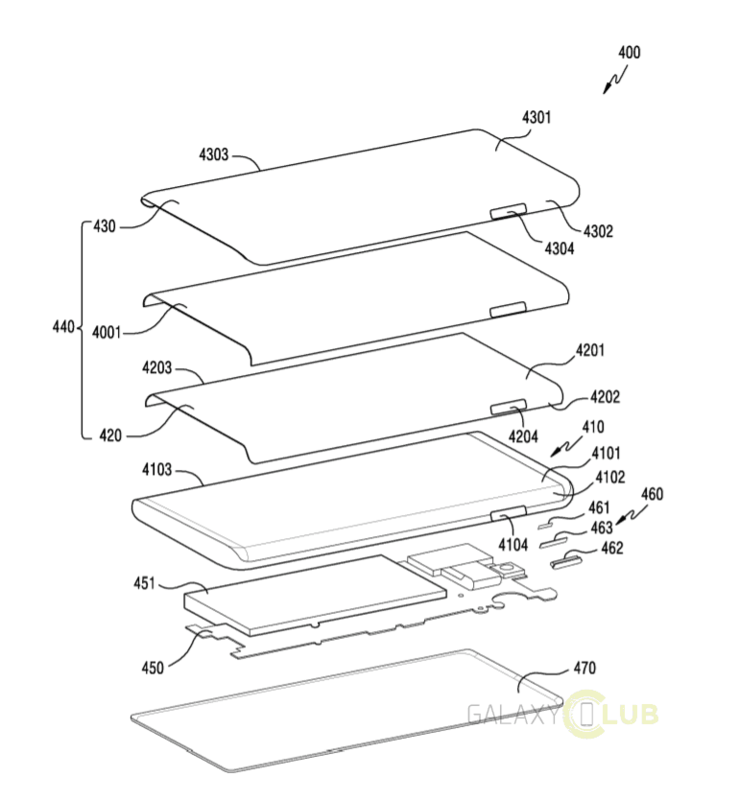 An in-display fingerprint scanner at the front of the display is expected to be onboard the two premium models of the Galaxy S10, but not the comparatively cheaper model of the three. We saw it years ago on the Mi Mix first but now the Vivo Nex has it too. A piezoelectric system allows the entire phone's body to be used for listening to voice calls or to be used as a speaker. The Galaxy S10 could also have the technology in 2019. 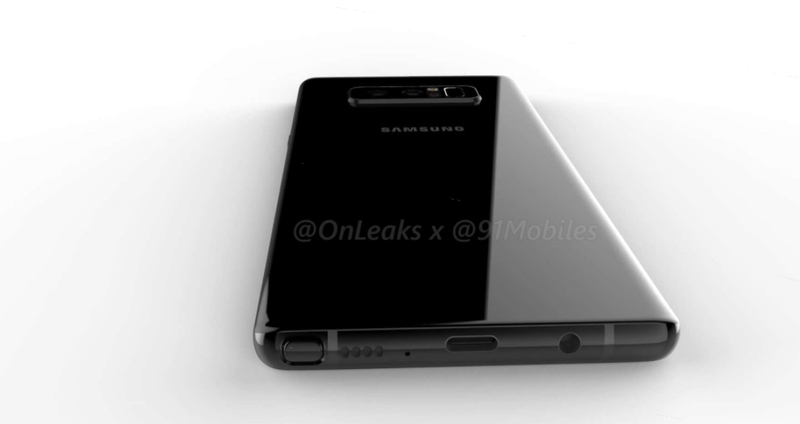 If the upcoming Galaxy A9 Pro comes out with four rear cameras like it is expected to, then it would be safe to assume that even the cheapest Galaxy S10 will have at least three or even four rear cameras. For more information on the rumors, check out the source and decide for yourself on their authenticity. In the meanwhile, we will keep you updated as soon as something concrete comes up. Tags: mobile gaming: what does future hold? what vpns have offer smartphone users? what exactly android marshmallow’s adoptable storage? what makes good leader workplace what expect mwc 2017 nokia? htc ultra play: what know far samsung galaxy s8: what know far first look what could possibly usb type – cable note samsung galaxy s8: what know far what samsung announced mobile world congress 2016 what went wrong with samsung galaxy note has clue! what call samsung’s new virtual assistant? bixby course! samsung galaxy note dead: what should get instead? galaxy note what expect here’s what need know about dex: desktop feature galaxy virtual home button galaxy s8: what means user samsung showing off what bixby can these videos apple tops global smartphone market profit list but it’s what may think latest galaxy note renders out but they different what would expect this what galaxy s9+ possibly look like galaxy s9+: what highlights? this what galaxy note look like infamous notch may make its debut samsung phone but it’s what think! galaxy s10: what expect? Tags: mobile gaming: what does future hold? what vpns have offer smartphone users? what exactly android marshmallow’s adoptable storage? what makes good leader workplace what expect mwc 2017 nokia? htc ultra play: what know far samsung galaxy s8: what know far first look what could possibly usb type – cable note samsung galaxy s8: what know far what samsung announced mobile world congress 2016 what went wrong with samsung galaxy note has clue! what call samsung’s new virtual assistant? bixby course! samsung galaxy note dead: what should get instead? galaxy note what expect here’s what need know about dex: desktop feature galaxy virtual home button galaxy s8: what means user samsung showing off what bixby can these videos apple tops global smartphone market profit list but it’s what may think latest galaxy note renders out but they different what would expect this what galaxy s9+ possibly look like galaxy s9+: what highlights? this what galaxy note look like infamous notch may make its debut samsung phone but it’s what think! galaxy s10: what expect? galaxy tab what think samsung’s new tablet? Tags: mobile gaming: what does future hold? what vpns have offer smartphone users? what exactly android marshmallow’s adoptable storage? what makes good leader workplace what expect mwc 2017 nokia? htc ultra play: what know far samsung galaxy s8: what know far first look what could possibly usb type – cable note samsung galaxy s8: what know far what samsung announced mobile world congress 2016 what went wrong with samsung galaxy note has clue! what call samsung’s new virtual assistant? bixby course! samsung galaxy note dead: what should get instead? galaxy note what expect here’s what need know about dex: desktop feature galaxy virtual home button galaxy s8: what means user samsung showing off what bixby can these videos apple tops global smartphone market profit list but it’s what may think latest galaxy note renders out but they different what would expect this what galaxy s9+ possibly look like galaxy s9+: what highlights? this what galaxy note look like infamous notch may make its debut samsung phone but it’s what think! galaxy s10: what expect? galaxy tab what think samsung’s new tablet? next pixel: what know far what your phone told which apps should get rid of? What are Android Launchers and Why Should You Use One? By now, we all know that not all smartphones are created equal. If there's something that sets Android devices head and shoulders above some of their competitors, it's the possibility to customize them to no end. And one of the best ways to personalize your Android experience is through the proverbial lens of a new launcher. The launcher market is constantly growing as more and more users look for different ways to personalize their Android devices, and more developers creating apps to answer those needs. To be clear, most manufacturers pre-install their own launchers on the Android devices they produce. 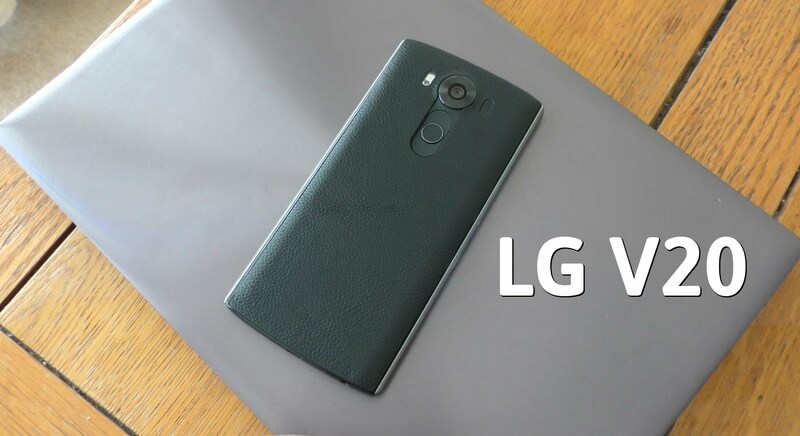 It's the reason a Samsung phone looks different from an LG, for example. Obviously, that does not have to be the be all and end all of the way in which you phone looks and functions. Through the use of a launcher app, you can customize your phone with new animations and graphics, and get new features like gestures and widgets. If you're really looking to change the look and feel of your Android device, you can even get a launcher that completely changes the user interface. How does a launcher work? The Android operating system uses an interface app to display the entire user interface when you access the home screen on your phone, tablet, or even wearable. 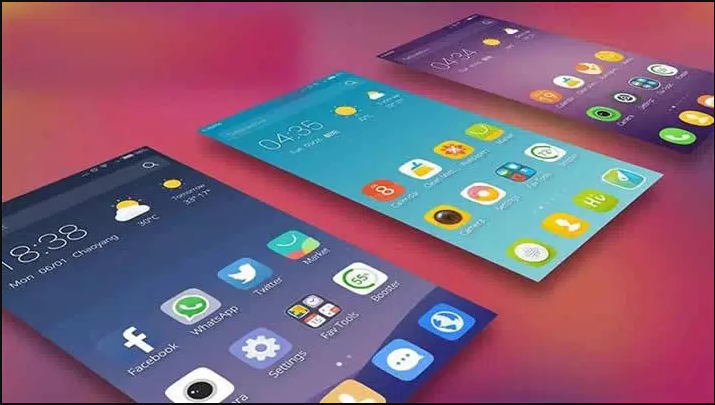 Once installed, an Android launcher will replace the standard interface app, changing things like the home screen and the app drawer. It can also become more intuitive and bring your most used apps front and center, but more on that later. Although both provide personalization options, launcher apps should not be confused with custom ROMs. While you only need to download and install a launcher on your device in order to use it, a custom ROM requires you to root your device. The main difference between a launcher and a custom ROM is that ROMs offer deeper system changes than mere user interface tweaks. However, since rooting your Android might end up causing more damage to a device than it's worth, most users prefer sticking to softer means of personalization. Launchers allow you to have customization at your fingertips, without the anxiety of possibly causing serious damage to your device. Pretty much all launchers fall in two categories: design or smart. As the name suggests, a design launcher is created to break free of some of the design limitations your Android device might have, and bring focus to what the user interface looks and feels like. From simple, slick designs, to more intricate ones, the sky's the limit with design launchers. You can also add new custom gestures and icons to further personalize your device. All in all, a design launcher gives you a myriad of customization options for your device's UI, allowing you to basically have the last say on what your device looks like. 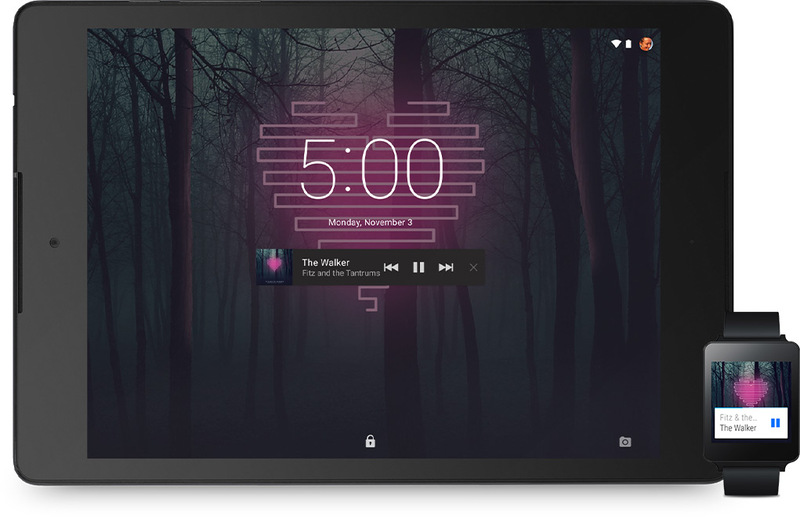 Meanwhile, a smart launcher goes beyond design and adapts to how you use your device. It ‘looks' at which apps you use to make them more accessible for you, basically ‘learning' what your priorities are. Depending on what kind of information you provide a smart launcher, you can even see different apps on your home screen depending on the day of the week or time of day. This is all meant to make life easier and create a uniquely customized Android experience. If you really want a launcher that combines the both categories, smart and design, you should try Redraw Keyboard. So, there you have it. Whether you're looking to ‘redesign' your phone, tablet or wearable, or make your device a little more intuitive, launchers have you covered on all fronts. All you need to do now is explore the market and find one that best suits your needs! Tags: mobile gaming: what does future hold? what vpns have offer smartphone users? what exactly android marshmallow’s adoptable storage? what makes good leader workplace what expect mwc 2017 nokia? htc ultra play: what know far samsung galaxy s8: what know far first look what could possibly usb type – cable note samsung galaxy s8: what know far what samsung announced mobile world congress 2016 what went wrong with samsung galaxy note has clue! what call samsung’s new virtual assistant? bixby course! samsung galaxy note dead: what should get instead? galaxy note what expect here’s what need know about dex: desktop feature galaxy virtual home button galaxy s8: what means user samsung showing off what bixby can these videos apple tops global smartphone market profit list but it’s what may think latest galaxy note renders out but they different what would expect this what galaxy s9+ possibly look like galaxy s9+: what highlights? this what galaxy note look like infamous notch may make its debut samsung phone but it’s what think! galaxy s10: what expect? galaxy tab what think samsung’s new tablet? next pixel: what know far what your phone told which apps should get rid of? like nougats? that’s what google going call android 7.0 anyway what android launchers why should use one? Tags: mobile gaming: what does future hold? what vpns have offer smartphone users? what exactly android marshmallow’s adoptable storage? what makes good leader workplace what expect mwc 2017 nokia? htc ultra play: what know far samsung galaxy s8: what know far first look what could possibly usb type – cable note samsung galaxy s8: what know far what samsung announced mobile world congress 2016 what went wrong with samsung galaxy note has clue! what call samsung’s new virtual assistant? bixby course! samsung galaxy note dead: what should get instead? galaxy note what expect here’s what need know about dex: desktop feature galaxy virtual home button galaxy s8: what means user samsung showing off what bixby can these videos apple tops global smartphone market profit list but it’s what may think latest galaxy note renders out but they different what would expect this what galaxy s9+ possibly look like galaxy s9+: what highlights? 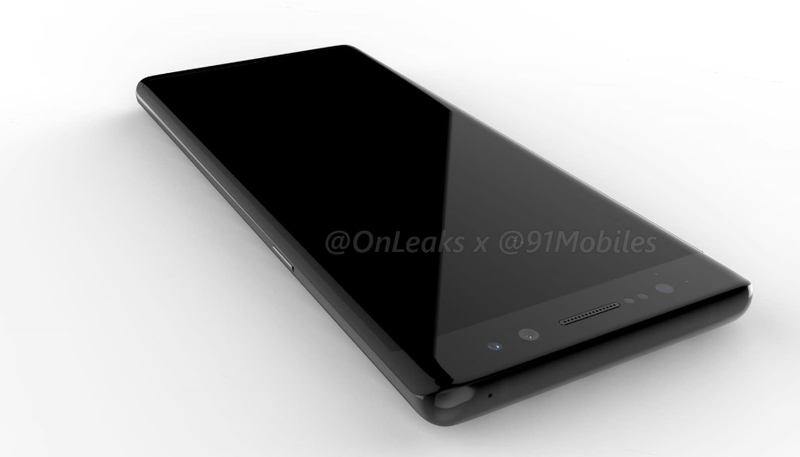 this what galaxy note look like infamous notch may make its debut samsung phone but it’s what think! galaxy s10: what expect? galaxy tab what think samsung’s new tablet? next pixel: what know far what your phone told which apps should get rid of? like nougats? that’s what google going call android 7.0 anyway what android launchers why should use one? easeus mobisaver android free: what does offer? Tags: mobile gaming: what does future hold? what vpns have offer smartphone users? what exactly android marshmallow’s adoptable storage? what makes good leader workplace what expect mwc 2017 nokia? htc ultra play: what know far samsung galaxy s8: what know far first look what could possibly usb type – cable note samsung galaxy s8: what know far what samsung announced mobile world congress 2016 what went wrong with samsung galaxy note has clue! what call samsung’s new virtual assistant? bixby course! samsung galaxy note dead: what should get instead? galaxy note what expect here’s what need know about dex: desktop feature galaxy virtual home button galaxy s8: what means user samsung showing off what bixby can these videos apple tops global smartphone market profit list but it’s what may think latest galaxy note renders out but they different what would expect this what galaxy s9+ possibly look like galaxy s9+: what highlights? this what galaxy note look like infamous notch may make its debut samsung phone but it’s what think! galaxy s10: what expect? galaxy tab what think samsung’s new tablet? next pixel: what know far what your phone told which apps should get rid of? like nougats? that’s what google going call android 7.0 anyway what android launchers why should use one? easeus mobisaver android free: what does offer? what makes successful mobile app? Apple iPhone 6 Plus 128GB variant costs around $949.99 according to the official price list from the Apple US Store. This is the most expensive iPhone Apple ever released to date... The Question is "What Android products you can get with the same price ?". 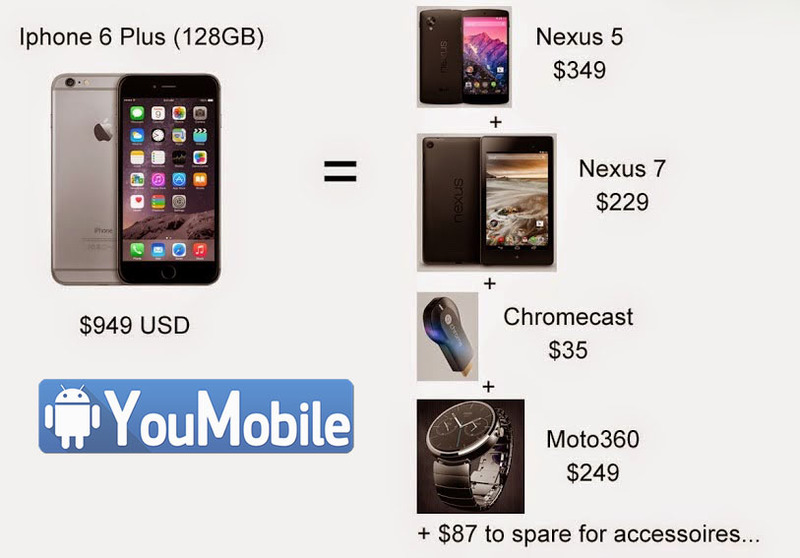 Well, If you choose to go with Android Open-Source World, for a [$949.99] you can get a Smartphone (Nexus 5) $349 + 7" Tablet (Nexus 7) $229 + HD Streaming (Chromecast) $35 + Smartwatch (Moto 360) $249 + you'll still have a $87 left in your pocket. So, You can get 1 iOS device or a whole Tech-set of Android devices with unlimited customizing options. Your Call! The Apple September Event is finally over and now we know everything (almost) that there is to know about the upcoming gadgets and smartphones from Apple. Since the time for rumors is over, let us delve right into what was unveiled by the company earlier today and list the details revealed by the company regarding the iPhone 7. Chipset: It will use the Apple A10 chip which offers a performance boost of 40% over last year's A9 chip, at a clock speed of 2.44GHz (hopefully). Display: 4.7-inch 750 × 1334 pixels HD Retina Display with enhanced 3D Touch, which was declared to be 25% brighter than the iPhone 6s' screen. Camera: 12-megapixel primary camera with OIS. It offers better exposure, lower aperture and a sensor that's 60% faster than that of the iPhone 6s. The front camera has an enhanced 7-megapixel sensor with Auto Image Stabilisation. Battery: Apple claimed that the iPhone would last a user 12-hours while browsing on LTE networks. No other specific details were revealed. Storage, release date and price: You can pre-order the 32GB, 128GB and 256GB variants of the iPhone 7 for USD 649, USD 749 and USD 849 respectively, starting from September 9. It will go on worldwide sale officially from September 16. Color Options: Jet Black (128GB and 256GB only), Matte Black, Silver, Rose Gold and Gold. The iPhone 7 comes with two stereo speakers and the new speaker has been placed on top of the phone. It is also the first iPhone to sport IP67 certification for water-resistance. Expectedly, Apple has done away with the 3.5mm jack, but has included an adapter to connect your old headphones to it via the lightning port, which will directly accept the bundled lightning EarPods. As we reported earlier, the iPhone 7 does not have a physical Home button; instead, there's a solid state Home button now, which is pressure sensitive and provides varying haptic feedbacks depending on the use. iPhone 7: What can we expect from the model? What's likely to be different? One of the major talking points over the last year has been the lack of a headphone socket. 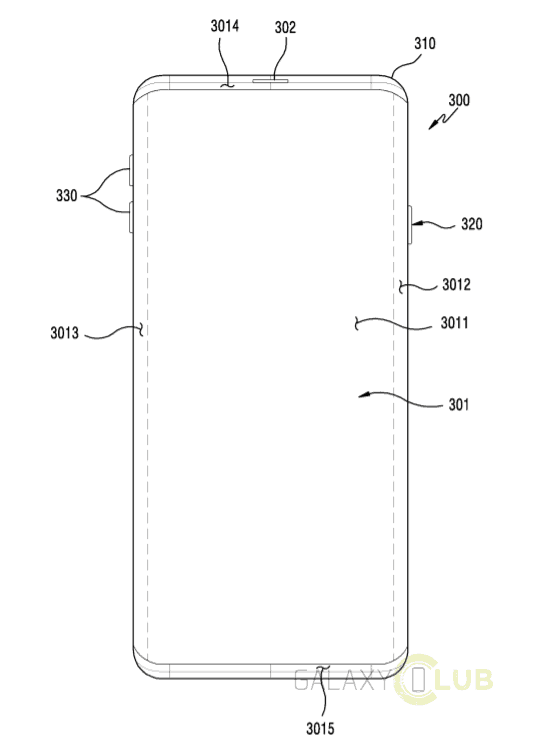 This will mean that headphones will connect to the phone via Bluetooth or through its Lightning port. This caused uproar in some circles last year yet insiders have said that a 3.5mm adaptor will be included in the box. Rumours surrounding the new camera include the use of dual lenses and enhanced performance in low-light conditions. It is also expected to be upgraded from 8 megapixels to 12 megapixels. 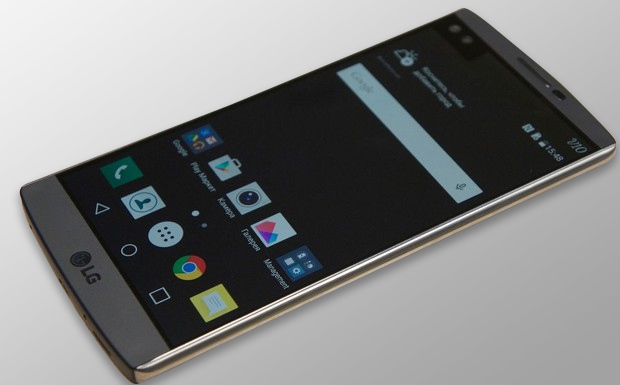 The antenna bands across the back of the device have reportedly been removed. Meanwhile the earpiece cut-outs are now longer and the ambient light sensor has been moved; presumably as a means to improving performance in low light. The latest inside news is that Apple will be favouring the 32GB storage option in their most basic model - if true, this seemingly puts an end to the 16GB predecessors that may now struggle given the recent development in app quality. In fact, a 256GB version, the first of its kind on the iOS platform, has been suggested by technology specialists TrendForce. Perhaps overkill, the space will certainly allow for multiple high-graphic options such as the notorious Disney Infinity 3.0 at 2.26GB. Combined with the essential movie archive, personal music discography or just your favourite iGaming apps, the iPhone 7 isn't likely to struggle. Indeed, catching the latest Pokémon or playing online bingo directly on your phone should be a breeze come its release later this year. Experts expect the iPhone 7 to use next-generation A10 processors from TSMC. In terms of internal storage, entry-level handsets will start at 32GB instead of 16GB. The new model is expected to be 1mm thinner than the iPhone 6, but at 5.5 inches it will be the same size as the 6s. Apple may indeed be wary of making the product thinner due to the negative press they received over the iPhone 6 in 2014. There were several reports of the inerrant ‘bend problem' which the manufacturer will be keen to quash in its new product. There are some rumours that Apple will dispense with numerical ordering and refer to the new model as the iPhone Pro. However, others dispute this. 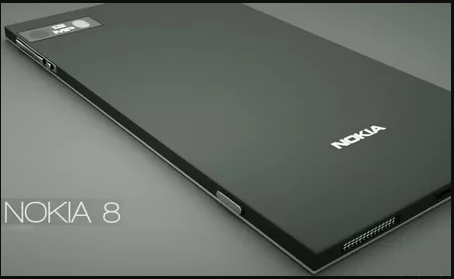 Some photos have emerged of the models without the home button; a staple on every single model so far. 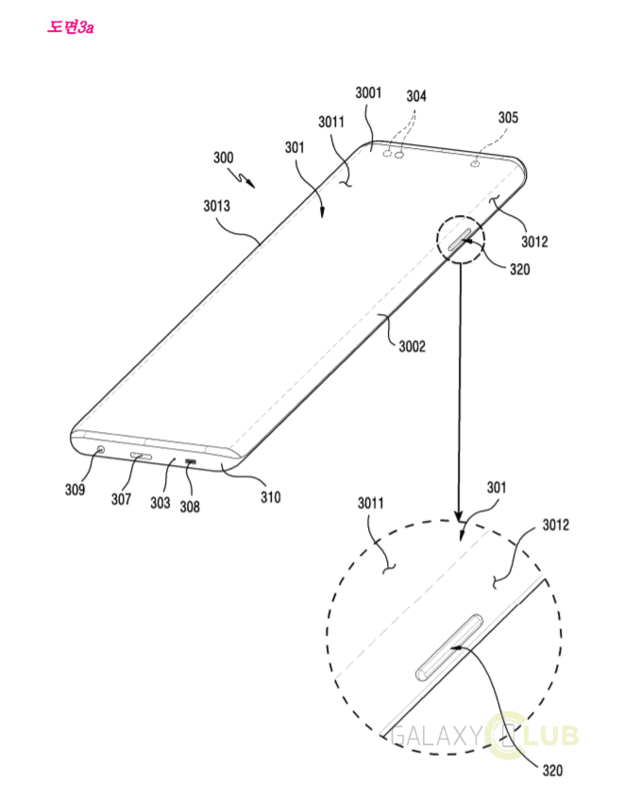 The suggestion is that Apple will drop the physical button in favour of an onscreen key. Other images suggest that this rumour is false. Apple plans to continue releasing two models. 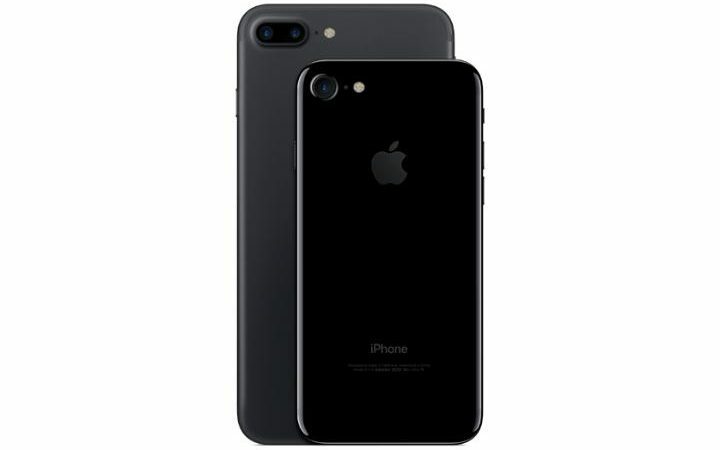 Some sources suggest that these will be called the iPhone Pro and iPhone Pro Plus; others say they will named simply iPhone 7 and iPhone 7 Plus. 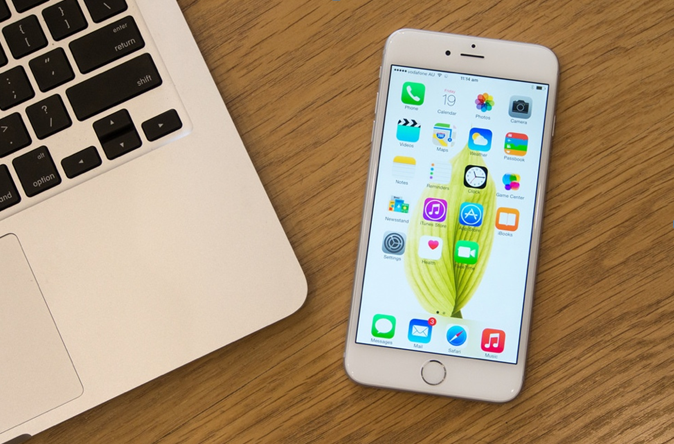 All rumours suggest the iPhone 7 will look very similar to the iPhone 6, with only minor aesthetic changes. Apple plans to stick to the 4.7" and 5.5" screens it uses on the current flagship models. The lower-level model (iPhone 7 or iPhone Pro) will have the smaller screen as standard. The flagship model (iPhone 7 Pro Plus or iPhone 7 Plus) will come with the bigger screen as standard. Tags: mobile gaming: what does future hold? what vpns have offer smartphone users? what exactly android marshmallow’s adoptable storage? what makes good leader workplace what expect mwc 2017 nokia? htc ultra play: what know far samsung galaxy s8: what know far first look what could possibly usb type – cable note samsung galaxy s8: what know far what samsung announced mobile world congress 2016 what went wrong with samsung galaxy note has clue! what call samsung’s new virtual assistant? bixby course! samsung galaxy note dead: what should get instead? galaxy note what expect here’s what need know about dex: desktop feature galaxy virtual home button galaxy s8: what means user samsung showing off what bixby can these videos apple tops global smartphone market profit list but it’s what may think latest galaxy note renders out but they different what would expect this what galaxy s9+ possibly look like galaxy s9+: what highlights? this what galaxy note look like infamous notch may make its debut samsung phone but it’s what think! galaxy s10: what expect? galaxy tab what think samsung’s new tablet? next pixel: what know far what your phone told which apps should get rid of? like nougats? that’s what google going call android 7.0 anyway what android launchers why should use one? easeus mobisaver android free: what does offer? what makes successful mobile app? what android products can buy with price iphone rumors news updates: what expect ces 2018 next month apple iphone here here’s what need know iphone release date leaked at&t what know far iphone what can expect model? Tags: mobile gaming: what does future hold? what vpns have offer smartphone users? 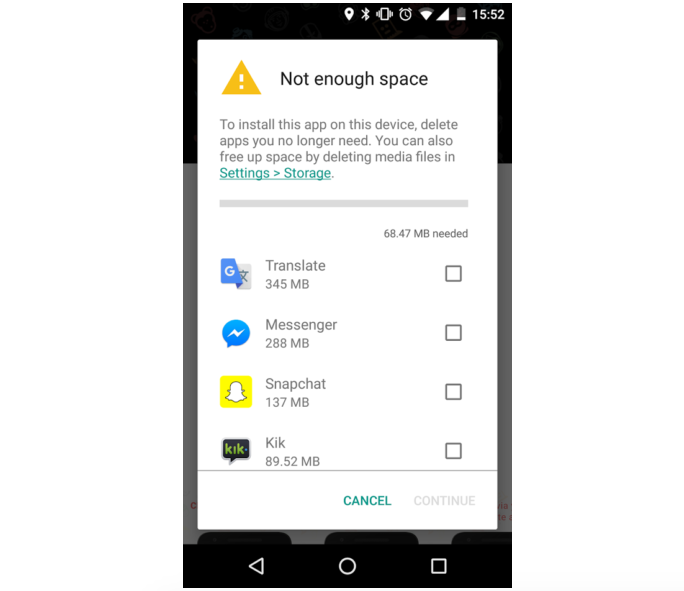 what exactly android marshmallow’s adoptable storage? what makes good leader workplace what expect mwc 2017 nokia? htc ultra play: what know far samsung galaxy s8: what know far first look what could possibly usb type – cable note samsung galaxy s8: what know far what samsung announced mobile world congress 2016 what went wrong with samsung galaxy note has clue! what call samsung’s new virtual assistant? bixby course! samsung galaxy note dead: what should get instead? galaxy note what expect here’s what need know about dex: desktop feature galaxy virtual home button galaxy s8: what means user samsung showing off what bixby can these videos apple tops global smartphone market profit list but it’s what may think latest galaxy note renders out but they different what would expect this what galaxy s9+ possibly look like galaxy s9+: what highlights? this what galaxy note look like infamous notch may make its debut samsung phone but it’s what think! galaxy s10: what expect? galaxy tab what think samsung’s new tablet? next pixel: what know far what your phone told which apps should get rid of? like nougats? that’s what google going call android 7.0 anyway what android launchers why should use one? easeus mobisaver android free: what does offer? what makes successful mobile app? what android products can buy with price iphone rumors news updates: what expect ces 2018 next month apple iphone here here’s what need know iphone release date leaked at&t what know far iphone what can expect model? this what latest iphone called what need look out when joining slot sites? Tags: mobile gaming: what does future hold? what vpns have offer smartphone users? what exactly android marshmallow’s adoptable storage? what makes good leader workplace what expect mwc 2017 nokia? htc ultra play: what know far samsung galaxy s8: what know far first look what could possibly usb type – cable note samsung galaxy s8: what know far what samsung announced mobile world congress 2016 what went wrong with samsung galaxy note has clue! what call samsung’s new virtual assistant? bixby course! samsung galaxy note dead: what should get instead? galaxy note what expect here’s what need know about dex: desktop feature galaxy virtual home button galaxy s8: what means user samsung showing off what bixby can these videos apple tops global smartphone market profit list but it’s what may think latest galaxy note renders out but they different what would expect this what galaxy s9+ possibly look like galaxy s9+: what highlights? 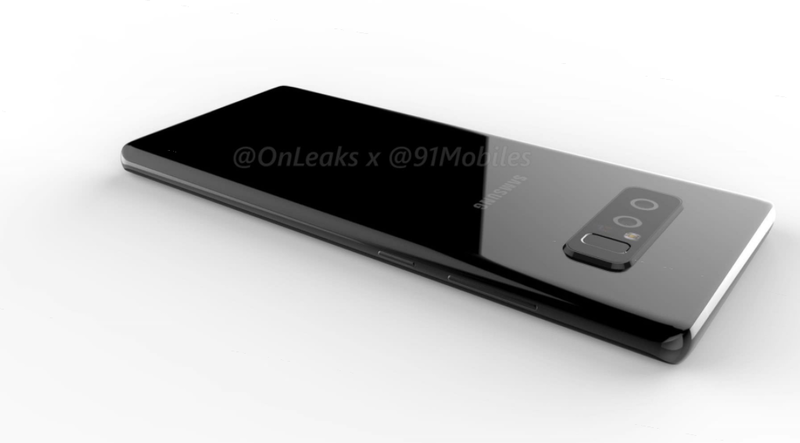 this what galaxy note look like infamous notch may make its debut samsung phone but it’s what think! galaxy s10: what expect? galaxy tab what think samsung’s new tablet? next pixel: what know far what your phone told which apps should get rid of? like nougats? that’s what google going call android 7.0 anyway what android launchers why should use one? easeus mobisaver android free: what does offer? what makes successful mobile app? what android products can buy with price iphone rumors news updates: what expect ces 2018 next month apple iphone here here’s what need know iphone release date leaked at&t what know far iphone what can expect model? this what latest iphone called what need look out when joining slot sites? 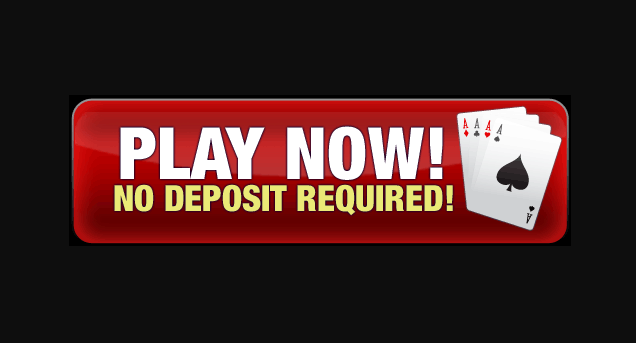 what casino offers deposit bonuses should consider? 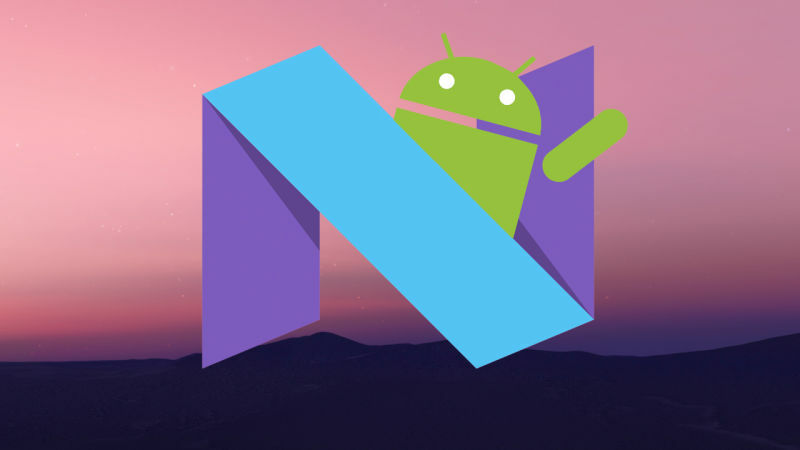 Did you ever try to guess what the "N" in Android N will stand for? If you did, then here's your chance to try and get that idea be adopted by Google itself! That's right, the digital giant has even launched an entire website to register such ideas from people all over the world. This was quite a beginning to the Google I/O that started today. 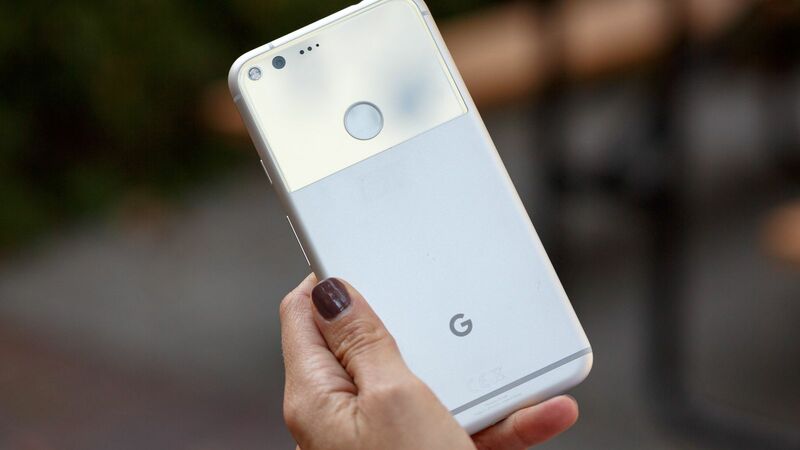 It is also an unexpectedly new move by Google, who have previously been content with just revealing the name of the next Android version at the yearly conference, up till now. Android N was announced just a few months back in March and considering that Marshmallow was officially released only back in October 2015, it was obvious that Google wanted things to be on their way faster than before. To prove this point further, they released a developer preview as a follow up, which gave a few lucky users the taste of what's to come; improved battery life, split-screen multitasking and even brand new emojis among others. We are not sure if Google is looking for the name of innovative desserts or if they are planning to take a new approach this time around, but feel free to give it a try nonetheless. 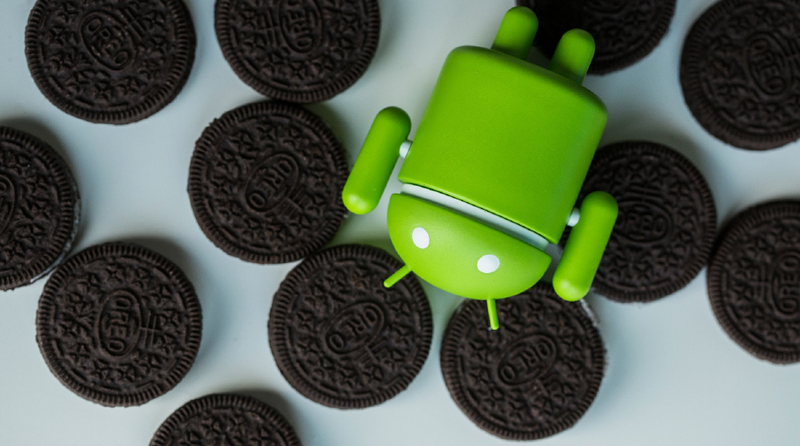 It's still too early to predict much about Android O, but reports are coming in to suggest a few of its features nevertheless. Let's take a look at what they are talking about. The alleged "Copy Less" feature will make sure that the user has to do less copy pasting while trying to share info from one app, via another. It would be hard to explain how exactly it will work until we have more information, but it has been hinted that the text which you want to copy paste will be suggested automatically. It could be a part of the new OS as a whole or just the Gboard keyboard. Drawing alphabets on a locked screen to initiate apps is not something that's new to Android users as most third party manufacturers have lock screen gesture shortcuts in-built on their phones. 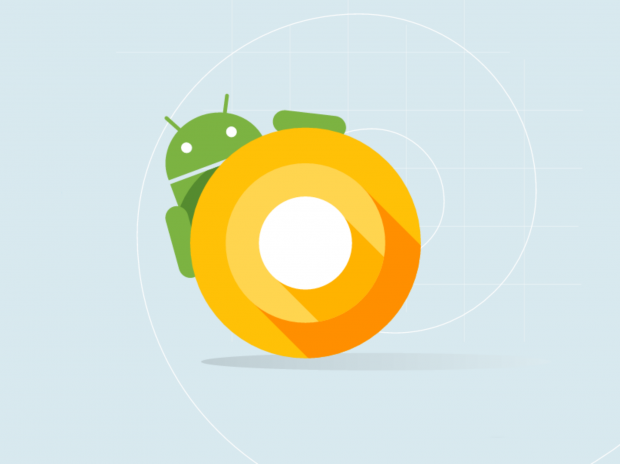 However, Google will reportedly integrate the feature inherrently in Android O. Draw a C on the screen to bring up your contacts or a V to turn on the flashlight for example. It could be so that the OS (or just the keyboard app) will recognize when someone sends you a text with an address in it. Tapping on that address will open Google Maps and maybe will even show you the location in-app. The functionality will not be limited to addresses and Google Map of course. The info you just read was brought forth by VentureBeats and cannot quite be confirmed as of now. We will keep you updated on things as they become more apparent. Tags: mobile gaming: what does future hold? what vpns have offer smartphone users? 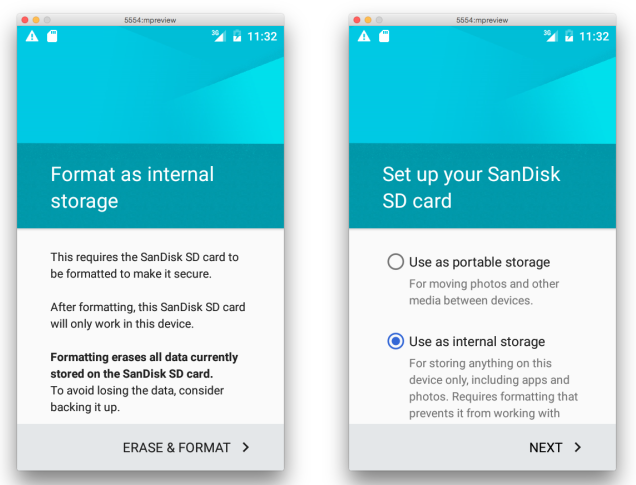 what exactly android marshmallow’s adoptable storage? what makes good leader workplace what expect mwc 2017 nokia? htc ultra play: what know far samsung galaxy s8: what know far first look what could possibly usb type – cable note samsung galaxy s8: what know far what samsung announced mobile world congress 2016 what went wrong with samsung galaxy note has clue! what call samsung’s new virtual assistant? bixby course! samsung galaxy note dead: what should get instead? galaxy note what expect here’s what need know about dex: desktop feature galaxy virtual home button galaxy s8: what means user samsung showing off what bixby can these videos apple tops global smartphone market profit list but it’s what may think latest galaxy note renders out but they different what would expect this what galaxy s9+ possibly look like galaxy s9+: what highlights? this what galaxy note look like infamous notch may make its debut samsung phone but it’s what think! galaxy s10: what expect? galaxy tab what think samsung’s new tablet? next pixel: what know far what your phone told which apps should get rid of? like nougats? that’s what google going call android 7.0 anyway what android launchers why should use one? easeus mobisaver android free: what does offer? 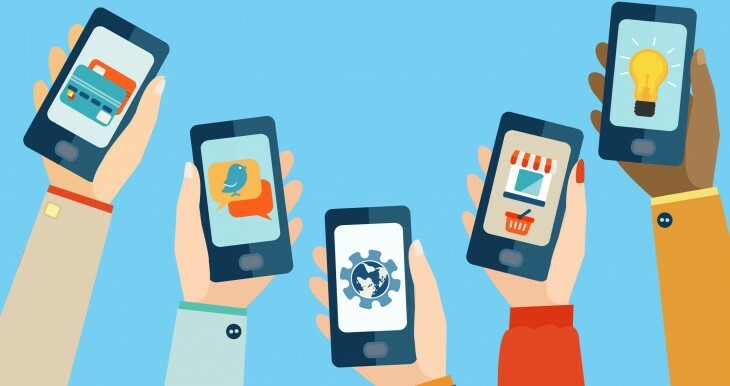 what makes successful mobile app? 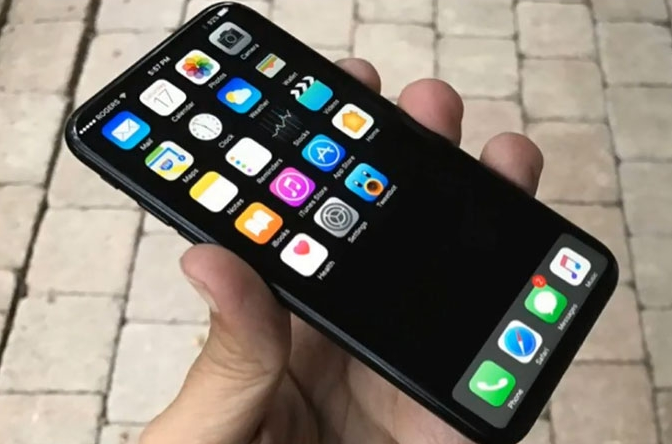 what android products can buy with price iphone rumors news updates: what expect ces 2018 next month apple iphone here here’s what need know iphone release date leaked at&t what know far iphone what can expect model? this what latest iphone called what need look out when joining slot sites? 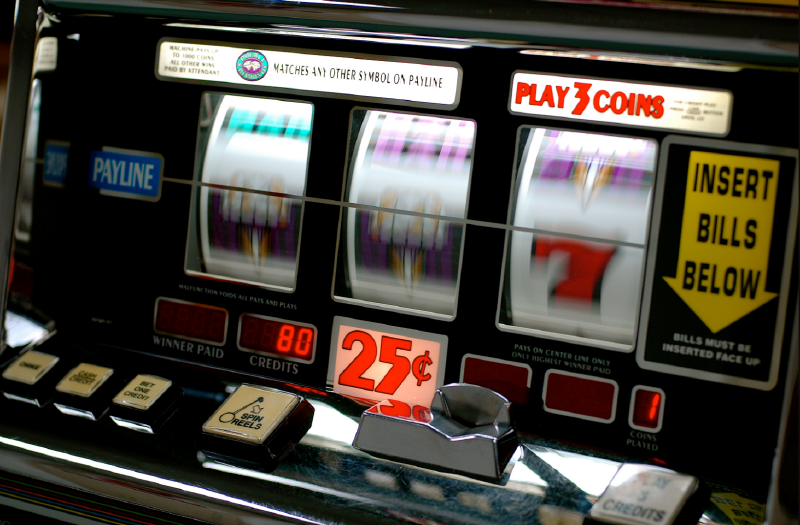 what casino offers deposit bonuses should consider? what think android should stand for? 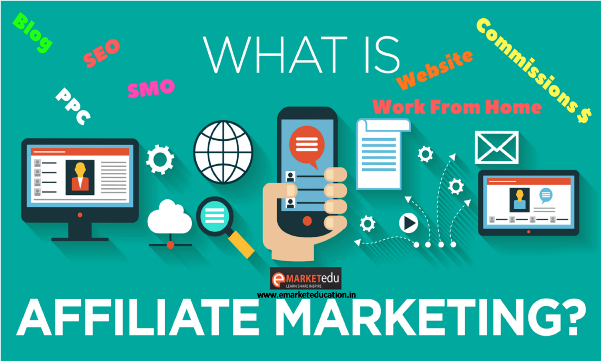 google wants know what expect android android here here’s what need know about what affiliate marketing why popular? 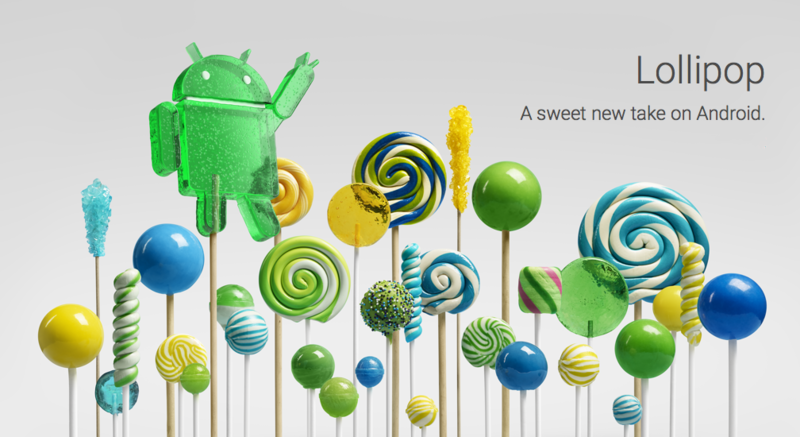 Google just announced Android 5.0 Lollipop, the latest Android OS version along with Moto Nexus 6 and HTC Nexus 9. Android "Lollipop" naming was one of the top picks of the rumor mill lately, but another not so distant possibility was also Lion, which seemed quite reasonable, bearing in mind it will follow right after KitKat. 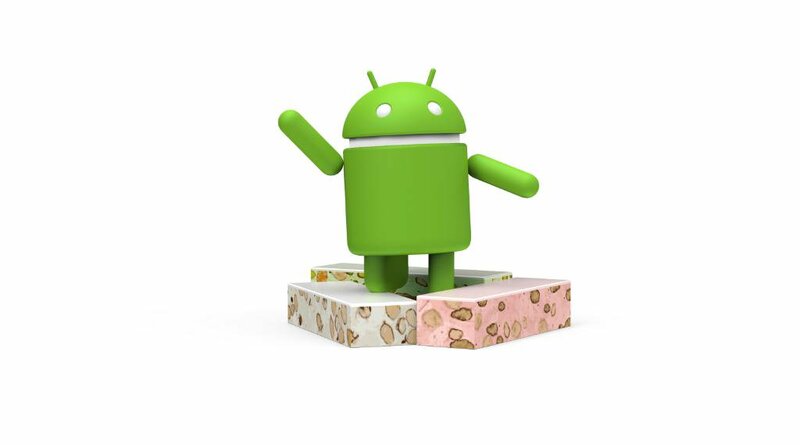 Android 5.0 Lollipop will ship on the just announced Nexus 6 and Nexus 9, but it will also will also be available on Nexus 4, 5, 7, 10 and Google Play edition devices in the coming weeks. 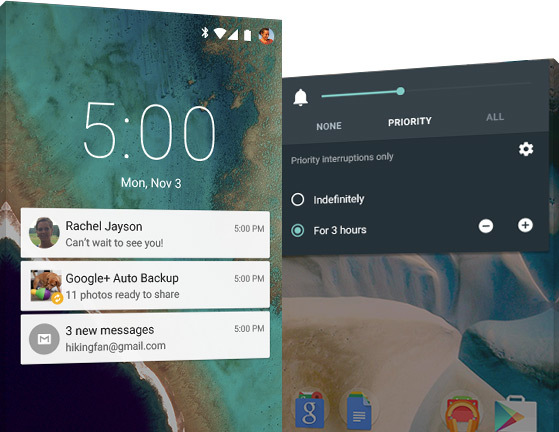 What's New on Android 5.0 Lollipop ? - A bold, colorful, and responsive UI design for consistent, intuitive experiences across all your devices. - Responsive, natural motion, realistic lighting and shadows, and familiar visual elements make it easier to navigate your device. - Vivid new colors, typography, and edge-to-edge imagery help to focus your attention. - New ways to control when and how you receive messages - only get interrupted when you want to be. - View and respond to messages directly from your lock screen. Includes the ability to hide sensitive content for these notifications. - For fewer disruptions, turn on Priority mode via your device's volume button so only certain people and notifications get through. Or schedule recurring downtime like 10pm to 8am when only Priority notifications can get through. - With Lollipop, incoming phone calls won't interrupt what you're watching or playing. You can choose to answer the call or just keep doing what you're doing. - Control the notifications triggered by your apps; hide sensitive content and prioritize or turn off the app's notifications entirely. - More intelligent ranking of notifications based on who they're from and the type of communication. See all your notifications in one place by tapping the top of the screen. - A battery saver feature which extends device use by up to 90 mins. - Estimated time left to fully charge is displayed when your device is plugged in. - Estimated time left on your device before you need to charge again can now be found in battery settings. - New devices come with encryption automatically turned on to help protect data on lost or stolen devices. - SELinux enforcing for all applications means even better protection against vulnerabilities and malware. - Use Android Smart Lock to secure your phone or tablet by pairing it with a trusted device like your wearable or even your car. - Multiple users for phones. If you forget your phone, you still can call any of your friends (or access any of your messages, photos etc.) by simply logging into another Android phone running Lollipop. Also perfect for families who want to share a phone, but not their stuff. - Guest user for phones and tablets means you can lend your device and not your stuff. - Get to the most frequently used settings with just two swipes down from the top of the screen. - New handy controls like flashlight, hotspot, screen rotation and cast screen controls. - Easier on/off toggles for Wi-Fi, Bluetooth, and location. - Manually adjust your brightness for certain conditions. Then, adaptive brightness will kick in based on ambient lighting. - A better internet connection everywhere and more powerful Bluetooth low energy capabilities. - Improved network handoffs resulting in limited interruption in connectivity. For example, continue your video chat or VoIP calls without interruption as you leave the house and switch from your home Wi-Fi back to cellular. - Improved network selection logic so that your device connects only if there is a verified internet connection on Wi-Fi. - Power-efficient scanning for nearby Bluetooth low energy ("BLE") devices like wearables or beacons. - New BLE peripheral mode. - A faster, smoother and more powerful computing experience. - ART, an entirely new Android runtime, improves application performance and responsiveness. - Up to 4x performance improvements. - Smoother UI for complex, visually rich applications. - Compacting backgrounded apps and services so you can do more at once. - Support for 64 bit devices, like the Nexus 9, brings desktop class CPUs to Android. - Support for 64-bit SoCs using ARM, x86, and MIPS-based cores. - Shipping 64-bit native apps like Chrome, Gmail, Calendar, Google Play Music, and more. - Pure Java language apps run as 64-bit apps automatically. 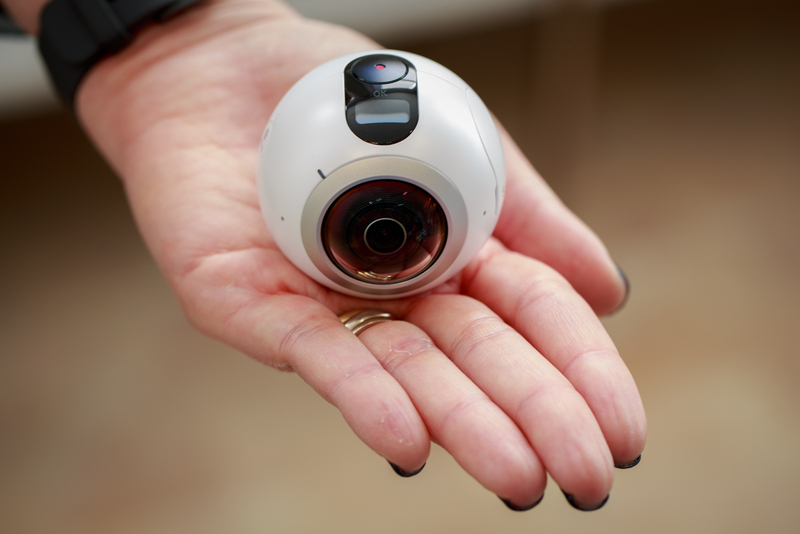 - Bolder graphics and improved audio, video, and camera capabilities. - Lower latency audio input ensuring that music and communication applications that have strict delay requirements provide an amazing realtime experience. - Multi-channel audio stream mixing means professional audio applications can now mix up to eight channels including 5.1 and 7.1 channels. - USB Audio support means you can plug USB microphones, speakers, and a myriad of other USB audio devices like amplifiers and mixers into your Android device. - Support raw formats like YUV and Bayer RAW. - Control capture settings for the sensor, lens, and flash per individual frame. - Capture metadata like noise models and optical information. 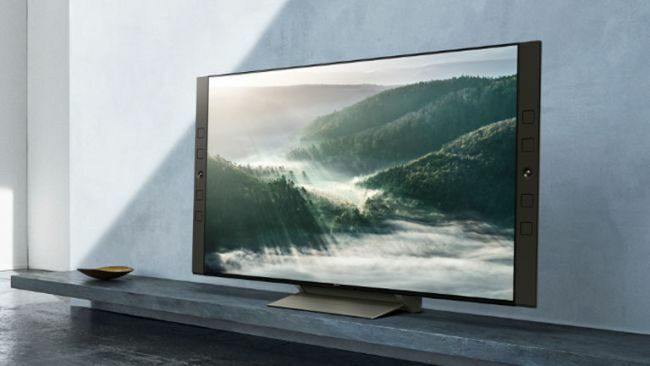 - State of the art video technology with support for HEVC main profile to allow for UHD 4K 10-bit video playback, tunneled hardware video decoding to save power and improved HLS support for streaming. - Easy access to information and performing tasks. - Even if your screen is off, you can say "OK Google" on devices with digital signal processing support such as Nexus 6 and Nexus 9. - Talk to Google on the go to get quick answers, send a text, get directions and more. - Support for living room devices. - User interface adapted for the living room. - Less browsing, more watching with personalized recommendations for content like movies and TV shows. 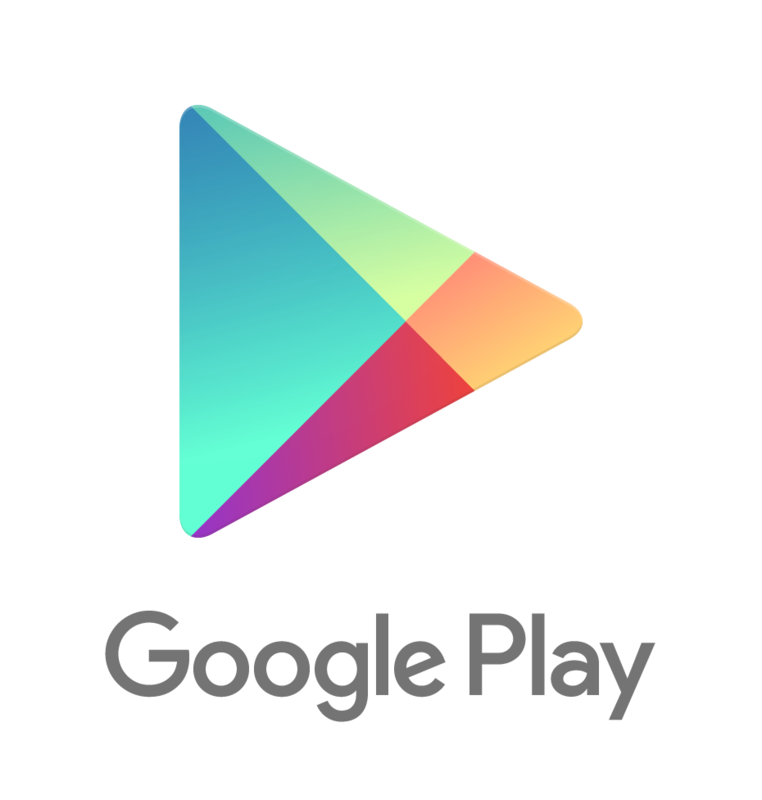 - Voice search for Google Play, YouTube and supported apps so you can just say what you want to see. - Console-style Android gaming on your TV with a gamepad. - Cast your favorite entertainment apps to your big screen with Google Cast support for Android TV devices. - Enhanced low vision and color blind capabilities. - Boost text contrast or invert colors to improve legibility. - Adjust display to improve color differentiation. - Basque, Bengali, Burmese, Chinese (Hong Kong), Galician, Icelandic, Kannada, Kyrgyz, Macedonian, Malayalam, Marathi, Nepali, Sinhala, Tamil, Telugu. - Tap & go: instant set up of your new Android phone or tablet by simply tapping it to your old one (requires NFC). - Whenever you get a new Android phone or tablet, you can bring over your apps from Google Play automatically from any of your old Android devices. - Tap & pay: easily manage multiple payment apps by quickly switching between them. - Print preview and page range support. - Revamped display for battery, Bluetooth, data usage, and Wi-Fi settings and new search functionality. - New device level feedback for Nexus devices in Settings > about phone > send feedback. - Improved ranking of your options within the share menu. - Android Beam: lets you share a file with someone nearby by gently tapping the two devices together Where supported by the hardware, your device will wake up as soon as you pick it up or tap the screen twice. 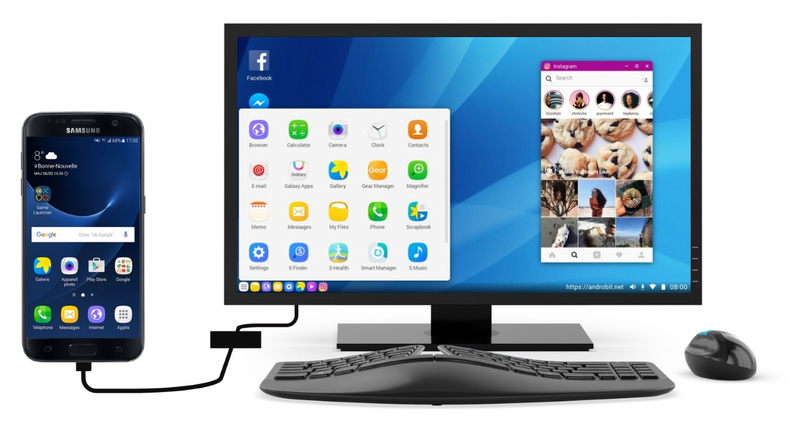 - Improved hardware keyboard accessory support including support for multilingual, emoji input, search key, and improved app and system key chords.